Writing and reporting are life-long passions. I have worked professionally in multiple genres for more than 30 years. Staff jobs and freelance gigs include radio and TV news, magazines, newspapers, online media, PR and marketing, interactive agencies, non-profits and educational institutions. I’m an independent journalist, freelancing for online and print media. Among them; Consumer Reports, Kaiser Health News, AARP.com, Medical Economics, Cancer Today, The BMJ, Considerable.com, Next Avenue, Journal on Active Aging, American Journal of Nursing, and the Connecticut Health I-Team (C-HIT). I co-produce HealthCetera, a weekly podcast committed to advancing the conversation about health and health policy. 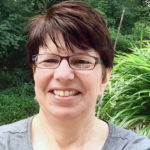 As the topic editor on aging for the Association of Health Care Journalists, I cover all aspects of health and aging, develop tip sheets, gather resources, data, and other background to help AHCJ members cover the many issues around our aging society. Senior fellow at the Center for Health, Media & Policy in New York City (2012-2015), reporting on aging, caregiving, women’s health, Boomers and health policy. Director, Media Fellows Program, Center for Health, Media & Policy (2015-2017), mentored early-career journalists on key health care and health policy issues; helped them hone their reporting and multimedia skills through coverage of project-specific in-depth stories. Journalism in Aging Fellow, Gerontological Society of America and New America Media (2015); I investigated and reported on the many facets of family caregiving in New York City. Columbia University Age Boom Academy fellow (2015); I took a deep dive into common and unique issues of aging around the world with global experts. Past board member, Journalism & Women Symposium (JAWS), an organization dedicated supporting the professional empowerment and personal growth of women in journalism and a more accurate portrayal of the whole society. I have also taught undergraduate courses in Media and Communications and graduate-level writing workshops for Empire State College, State University of New York. Strong communication skills, an excellent sense of balance, flexibility, and efficient time management are vital to success. I handle multiple roles, yet maintain a single-minded focus on the task at hand. The challenge and variety that comes with different writing pursuits keeps my instincts sharp and my copy fresh. Interested? See samples of my work.